Ahh.... August. The sun is blazing hot, the berries are sweet and we're now in full-summer-mode. If you haven't already, chances are you're planning to get away for a couple of days of well-earned vacation. Whether it's a cross-country trip or a stay-cation where the only driving you'll do is to the local park, it's fun to get up and go. When I'm on vacation, the only thing I really miss about being at home (besides guaranteed hot showers) is a guaranteed internet connection. Hang on, it's the twentieth century and I live in Silicon Valley for crying out loud! Yes, I've heard of those newfangled things called laptops and wireless modems and BlackBerries and iPhones and WiFi hotspots. For all you bloggers on the road, I'm giving away a prepaid Wi-Fi card (worth $20) courtesy of T-Mobile HotSpot. It's good for 7 continuous days of unlimited Wi-Fi service. To enter, just leave a comment with your email address or blog (By the way, please read the complete contest rules here). I'll draw a random winner from all the entries on August 30. Good luck! Even though the whole world has moved to digital cameras, even with all the digital photo frames around, nothing beats a printed photo. Just like printed books, printed photos are going to be around for a long time. Hey, ya gotta send photos to your kid's preschool so he can cut 'em up and squirt glitter glue on 'em and turn them into plant hangers, right? And ya gotta send 'em out to the grandparents so they can stick in in a frame and add it to the fifty-six they already have on the mantel, right? And ya gotta have 'em printed out for all your Christmas cards, right? See? You totally need this Snapfish giftcard that I'm giving away! One lucky winner will receive a giftcard for 50 free digital camera prints from Snapfish (and a bonus 20 additional prints if you're a first-time Snapfish user!). To enter, just leave a comment with your email address or blog (By the way, please read the complete contest rules here). I'll draw a random winner from all the entries on August 25. Good luck! 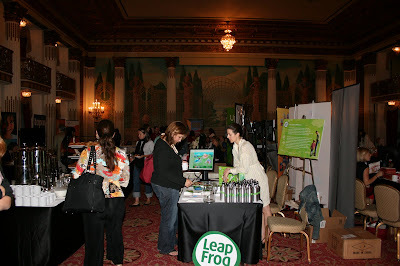 * Receive 30% off a Tag book or Leapster2 or Didj game when you order from leapfrog.com when you enter the promotional code SU8BHPR at checkout. * Buy any Leapster Game and get the Leapster Number Raiders game FREE. Just enter promo code SU8LTNR at checkout. * FREE shipping when you buy the Leapster 2, no coupon code necessary. Hurry, they are good only through July 31! I learned my letters from Sesame Street. I learned to read from The Electric Company. Is it any surprise that kids learn faster and retain that knowledge better when things are presented to them in an entertaining way? Following in their footsteps comes a cd that sets elementary school lessons to rap music. Class Dis-Missed, written and performed by Mr. Duey, a teacher and rapper, presents facts -- math (integers, graphing, fractions), language (nouns, adjectives, essay writing basics), science (cells, atoms, matter) and more -- in a way that makes kids want to listen. Personally, when I listened to the cd I could barely understand the words (I did catch a familiar phrase here and there, such as "Least Common Denominator" or "graphing"), let alone remember them. But then I'm not a rap fan. Kids these days must be able to glean some sense from the music, otherwise numerous teachers wouldn't be praising this cd with testimonials about increases in their students' test scores and enthusiasm. That aside, I think it's a great idea nd I just hope that Mr. Duey's style of rap music will still be popular when my kids are old enough to benefit from this cd. Or maybe I should just ask Mr. Duey to cut another learning cd in 4 or 5 years time to the beat of the latest hip music. As if all that SV Moms swag wasn't enough, I've collected another bagful of stuff from all the pre-BlogHer party-hopping. Almost all of it came from the Kirtsy/Alltop party hosted at Guy Kawasaki's home in Atherton (hmmmm, I wonder if he and ten other close friends also spent three hours packing the swag bags for his guests). 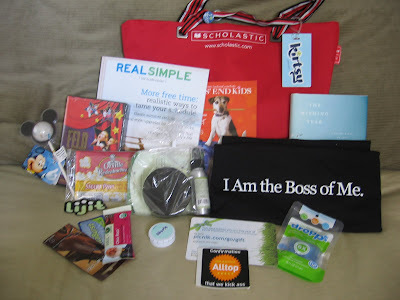 SV Moms Swag -- way more than tchotchkes! 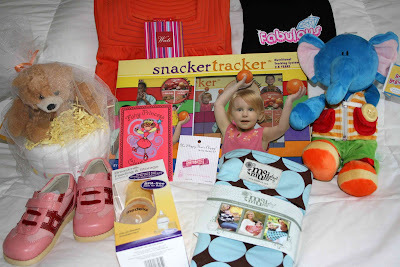 Finally, it's the night before BlogHer, and I can at last reveal to the world the contents of our SV Moms Swag Bags..... I'm going to have so much fun trying this stuff out! First up, beauty and healthcare products. 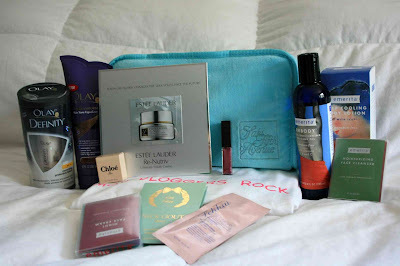 Saks Fifth Avenue sent us a plush spa bag with some luxury beauty product samples. We also got some skincare products from Olay and Emerita, and a teeth whitening pen from Whiter Image. Sigh.... I suppose I have no excuse now to be looking wrinkled and haggard, not with all these pampering products I've been given. The household products in our swag bag almost reads like a little script: Now, you too can clean your home with Scrubbing Bubbles bathroom scrubber and some organic weedkiller (and don't forget to spray your hands with CleanWell sanitizer afterwards)! And after you're done with all that tiresome cleaning, why not relax and stuff your face with yummy, guilt-free Weight Watchers snacks? OK, just kidding, I guess some dried fruit crisps would be much healthier (and just as yummy). And there you have it -- my goody bag breakdown. I'm going to have so much fun trying this stuff out! If I find anything I really like, I'll post about it here. And don't worry, I'm sure I'll have enough left over to host a little swag bag giveaway soon, so stay tuned! 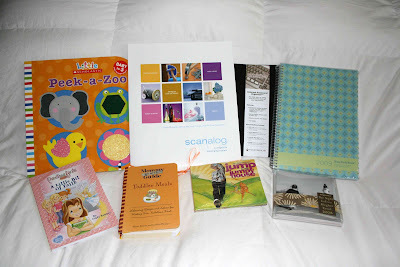 Next up... what's in my BlogHer Swag Bag? I've just been to the redesigned Borders online store and although the page loading time was far from speedy, I like what I see. Scrolling through the books on their Magic Shelf (a virtual bookshelf) is almost like being in a real store -- I just wish they offered the ability to expand the contents of the shelves rather than featuring about a dozen books in each category. Oh, and I'm disappointed that they don't have the very first section I head to when I visit Borders -- books on sale. Where's your SALE section on that Magic Shelf, guys? FREE shipping of your purchase to any store. FREE shipping for purchases over $25. And for now until August 8, $5 off your online purchase -- just add promotion code BR41925 at checkout. Now if only they could give us a virtual new-book smell and virtual latte smell. 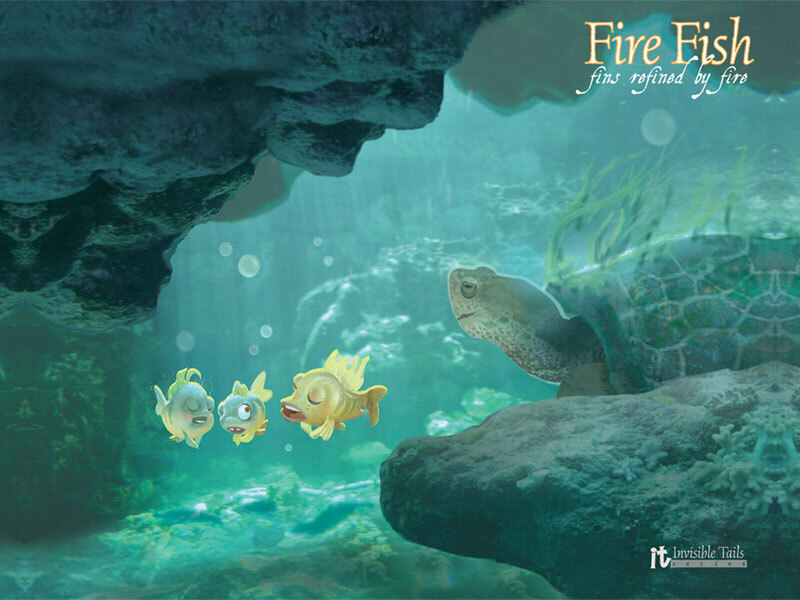 FireFish , written by Davy Liu, tells the tale of three little fish (my kids loved that the eldest fish is a girl and she has two little brothers) who are searching for their parents. They face many dangers along the way but are inspired and aided throughout by the mythical FinMaker and the wondrous FireFish. It is a lovely story about courage and love and family and faith. With its emphasis on faith, FireFish clearly has strong biblical undertones; in fact, you will need to know your Old Testament stories to be able to fully appreciate the Big Picture. The best feature of the book is the beautiful illustrations -- which is what you'd expect from someone who has worked on Disney animated films like "Beauty and the Beast" and "The Lion King", and for George Lucas at ILM. I love how some page spreads don't have any text at all, just an illustration of eye-catching, vivid sea creatures swimming in a beautiful blue sea. They look just like limited-edition animation cells. 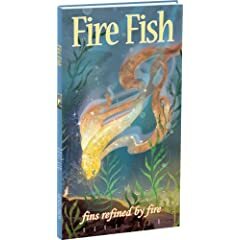 Firefish is actually the second of Davy Liu's series of books -- the Invisible Tails series -- about biblical stories such as Jonah and the Whale or Moses' Parting of the Red Sea , written from animal's perspectives. The first one, The Giant Leaf, is also out, and at least half a dozen are set to follow. If the storylines and artwork are going to be as clever as Fire Fish's, I can't wait to read the rest of them. Lost and Found: a gorilla and a "tiger"
If you're writing a book that appeals to children, what could be more captivating than the tale of a little lost animal? We recently read two wonderful environment-themed animal storybooks that courage, love, the importance of family and the ability to make a difference. The Tiniest Tiger is about a lost kitten who enters a zoo and finds herself in the Big Cat section. She goes from wildcat to cat in looking for one who will become her new family. I loved how each cat -- lions, tigers, leopards, pumas and more -- enumerates the ways they are similar to and different from the kitten. It's quite a long book -- and I must say the long list of big cats made reading it almost tedious for me -- but the kids were so engrossed in the plight of the kitten that they had no difficulty sitting through the whole story. In fact, you could spend quite a bit of time on the book without even reading the text. Just leafing through the lovely illustrations of the wild cats (with animal facts cleverly drawn on the zoo signage) kept us busy. 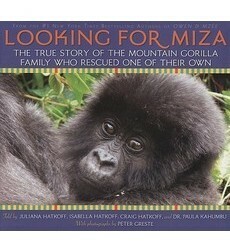 Looking for Miza: The true story of the mountain gorilla family who rescued one of their own is a book about a baby who is separated from her family, her father, the silver-backed gorilla Kabiziri, who searches the jungle to find her, and her family, who work together to raise her when she is found. The book, which comes out this September, was written by the same authors as Knut: How one little polar bear changed the world, which is still a great favorite of my kids. A large part of the Knut book's appeal was Knut himself. Baby polar bears are universally regarded as the cutest things around; the same cannot be said of baby mountain gorillas. Miza the baby gorilla definitely looked soft, small and fluffy, but my kids weren't really buying the "wrinkled face = cute face" thing. However, they quickly became absorbed in the drama and soon found themselves rooting for little baby Miza. As with The Tiniest Tiger, Miza includes lots of interesting facts about the animals and their habitat (The Pea was delighted to learn how to identify the nose markings of the gorillas), and does a great job of drawing kids' attention to their plight. My 5k run with the Livestrong Challenge is coming up this Saturday, and I'm ready to run. However, I'm not doing so well on the fundraising front. I'll admit my primary goal in joining was for personal fitness, not fundraising for a cause, so I haven't been trying very hard. But I admire Lance Armstrong and I think this is a worthy cause, so I'll make a last-minute effort -- if you are considering a donation to the Lance Armstrong Foundation, please consider donating via my fundraising page! 100% of your money goes directly to the Foundation, I don't see or keep any of it. If you want a reward for donating to a good cause, here's a small one: if you donate via my fundraising page, I'll send you some nice yellow Livestrong wristbands! They cost $1 each, so if you donate $5 (minimum donation is $5), I'll send you 5 wristbands (to US shipping addresses only). You can find them at the Nike store, but they sell out pretty quickly. Or you can buy them online, but you need to buy them in packs of 10. Or you can "buy" them from me and save the sales tax and shipping/gas. As they say on tv, Hurry, supplies are limited! Once you are done donating, please leave a comment on this post (or send an email to bonggamom@Yahoo.com) with the amount you donated, the number of wristbands you want (and specify adult or youth size), and your contact email. 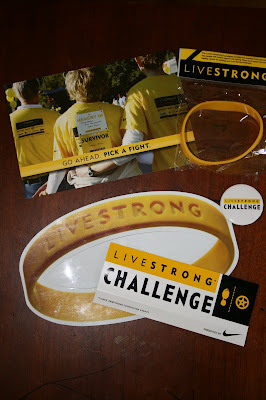 And to make things more fun, I'm also giving away some Livestrong souvenir items. To enter, just leave a comment on this post. The first five people to comment on this post will receive all the Livestrong items in the photo: postcard, badge, sticker, magnet and wristband. The next five will receive a Livestrong wristband. If more than 10 people comment on this post (no double commenting, please!) before July 15, I'll pick 10 winners at random. And if more than 20 people comment on this post before July 15, I'll raffle off a pack of 10 Livestrong bracelets to 1 person.